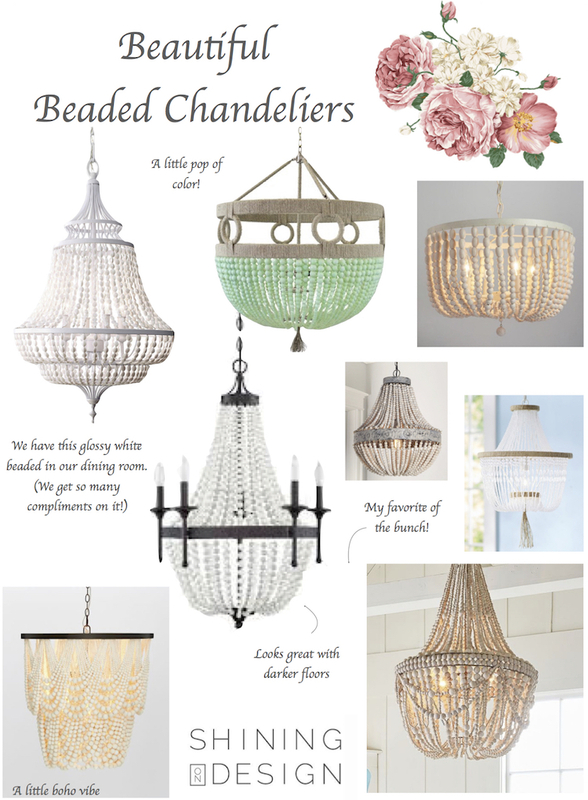 I’ve rounded up a few of my favorites beaded chandeliers – some splurges and some very budget friendly! 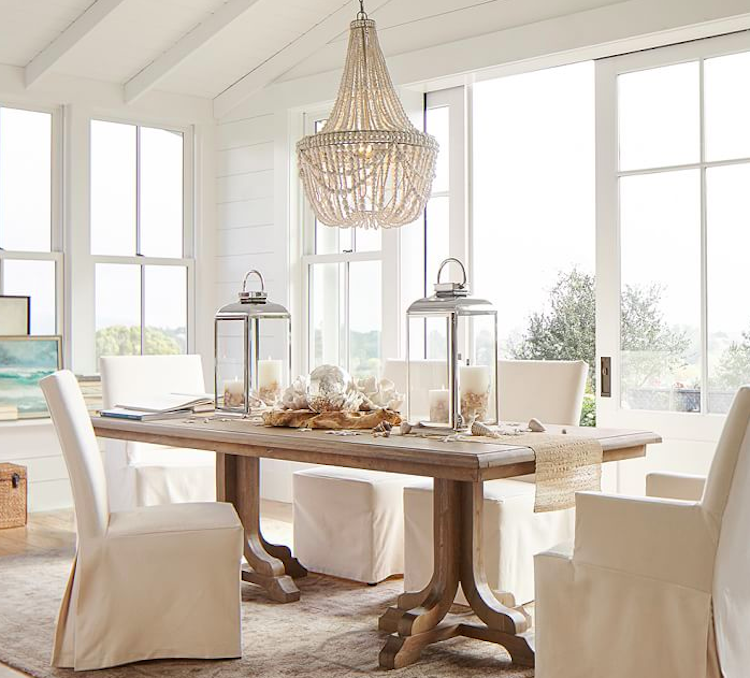 These beaded chandeliers can be incorporated in almost ANY style and add a beautiful touch to any space. I’ve loved seeing all the different varieties pop up lately. From glossy beads, colored beads, boho twists and classic looks. 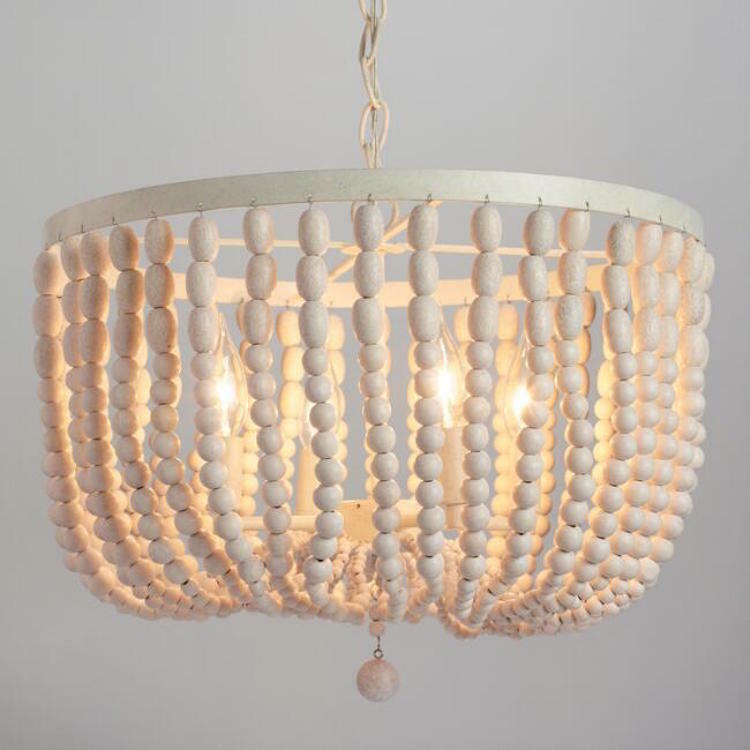 They can be used in dining rooms, bedrooms (so cute in kids rooms! 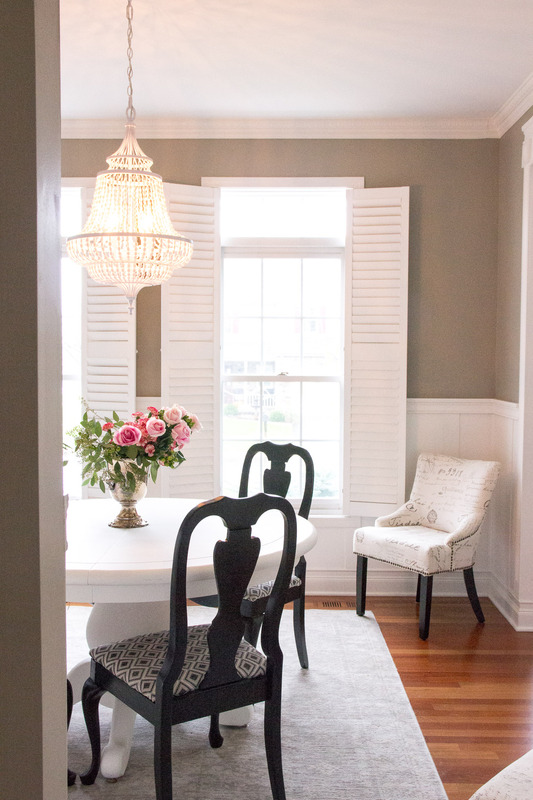 ), formal or casual living spaces and dinettes. *Note, this post contains affiliate links. This means I get a small percentage for any item purchased. It does NOT affect your pricing. 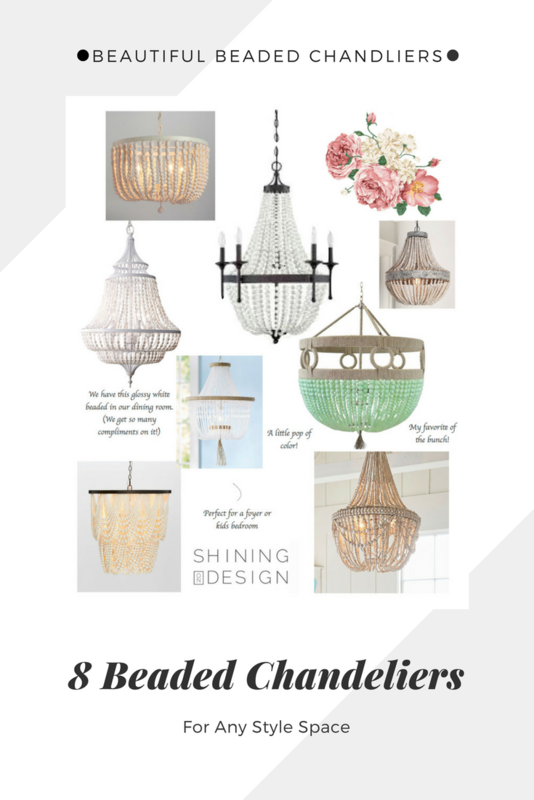 Thank you for supporting Shining on Design! 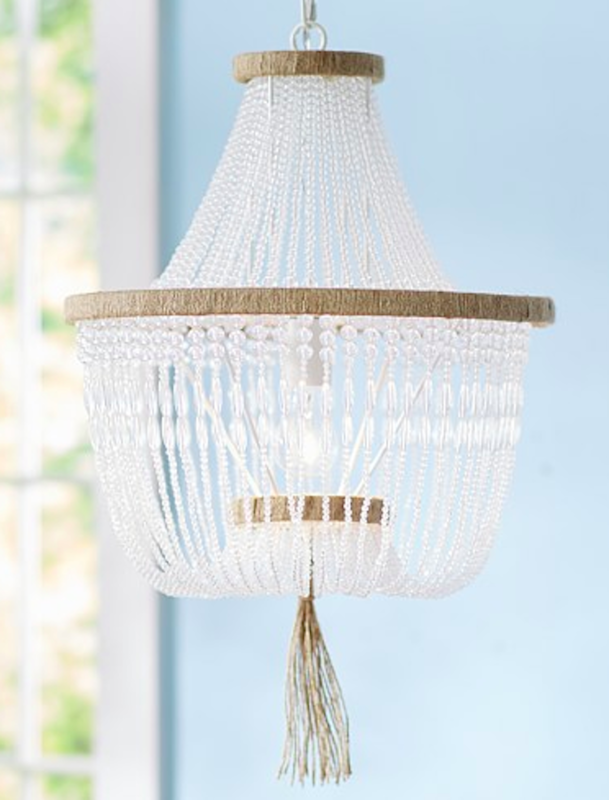 We’ve loved having our beaded chandelier in our dining room and I know I’m not the only one that is head over heals for the beauties. 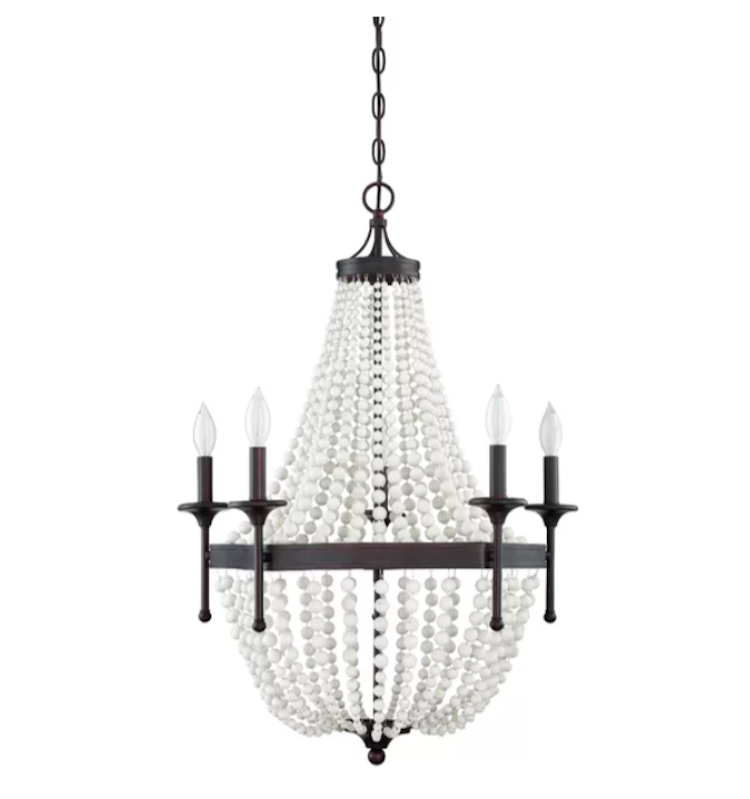 We went with a white glossy beaded chandelier from Bellacor. It’s beautiful especially when lit up! 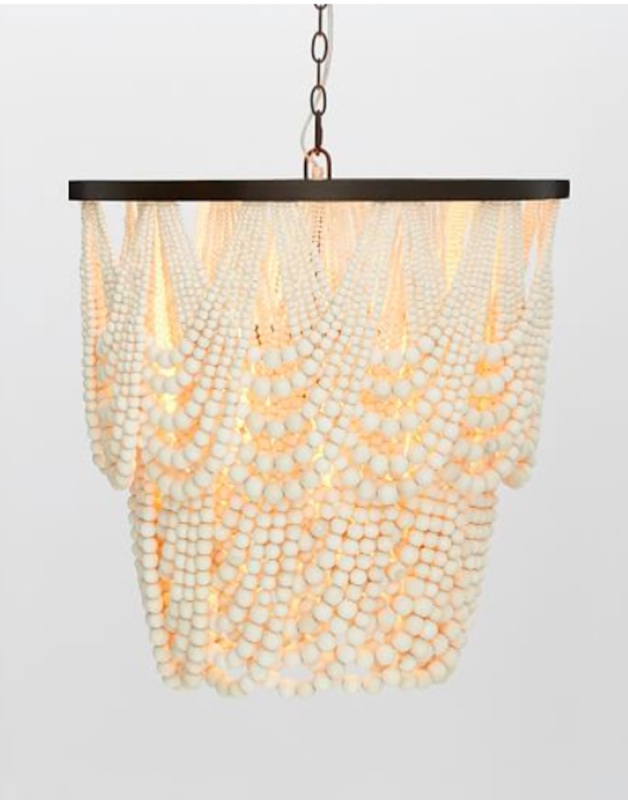 This robin egg chandelier is a bit of a splurge but it is stunning! 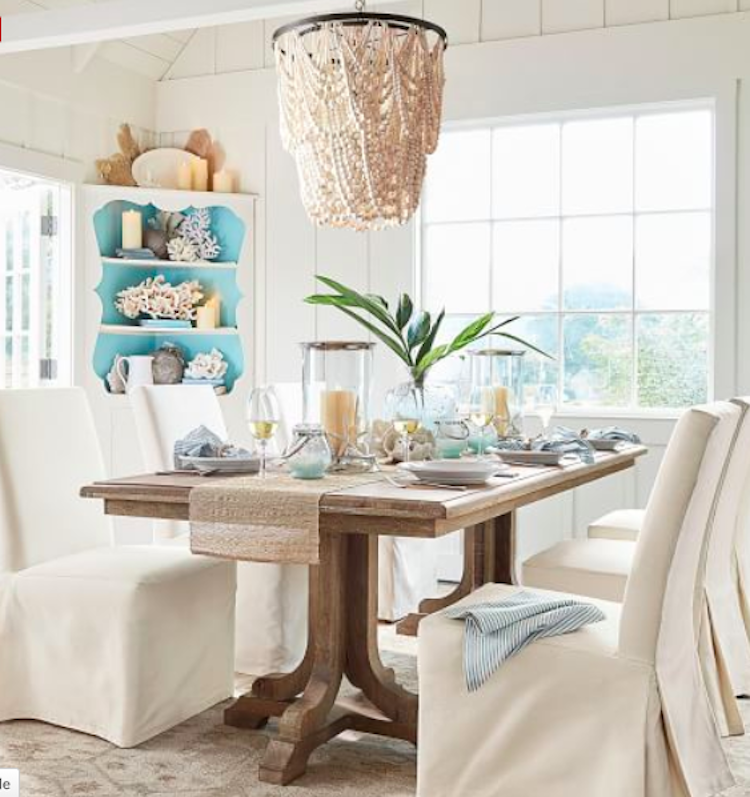 I’ve seen it paired with Serena and Lily’s bistro chairs and fell in love. 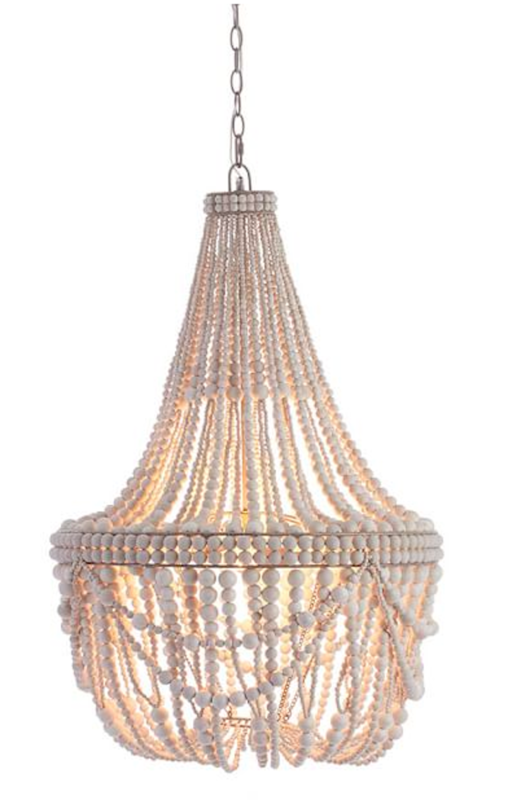 Candle Style Chandelier – This is a great option if you want a little more contrast. 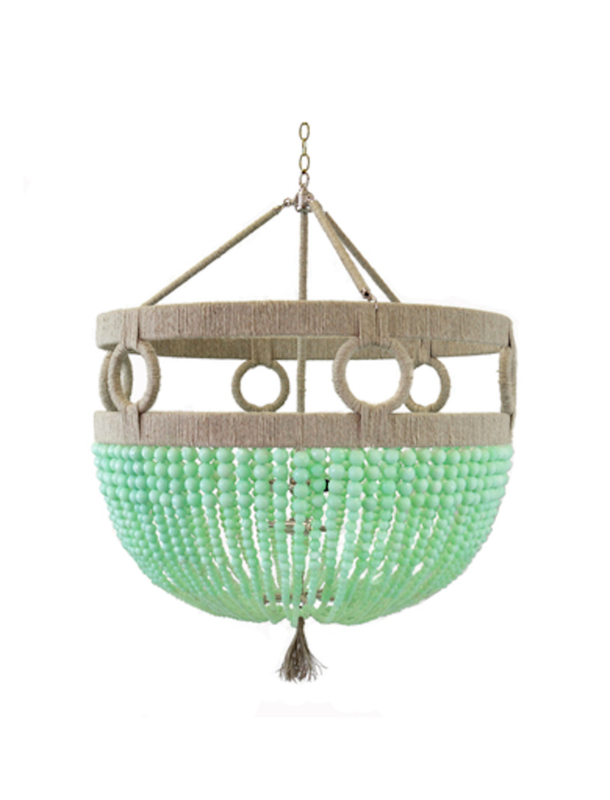 It’ll look great with dark floor or a dark table too. Also, the price is fantastic!! 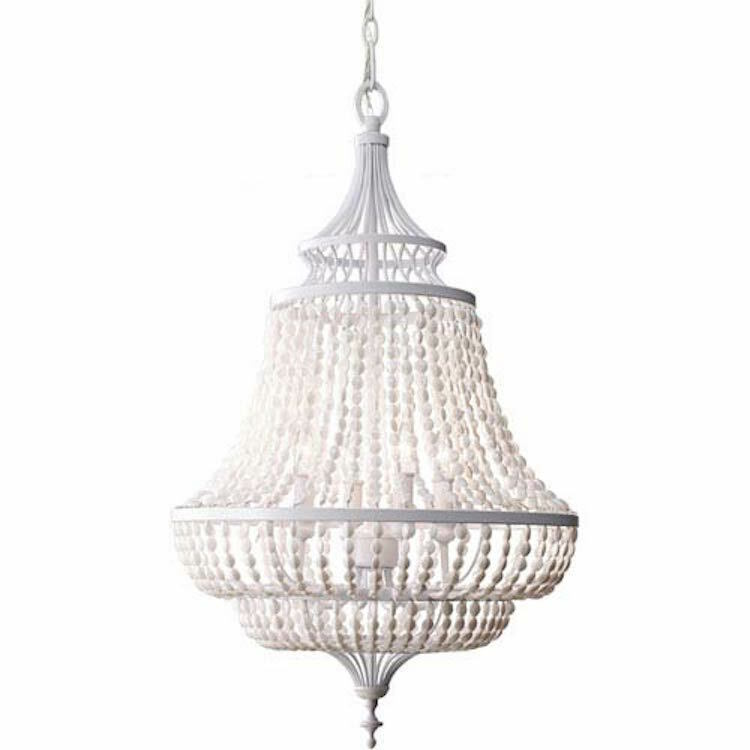 This one is perfect for a foyer, hallway or kids bedroom! 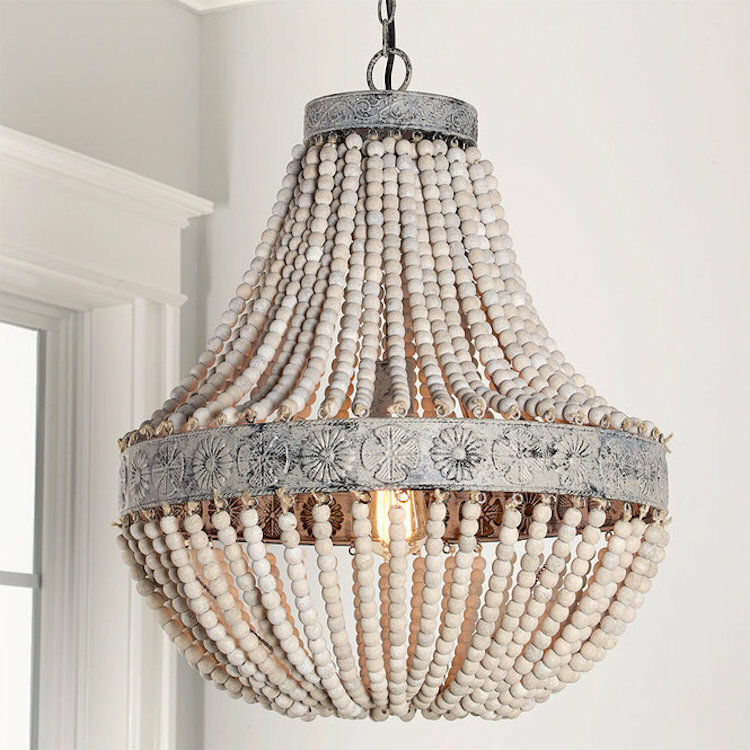 This reminds me of pearl necklaces and would be so pretty in a dining area. 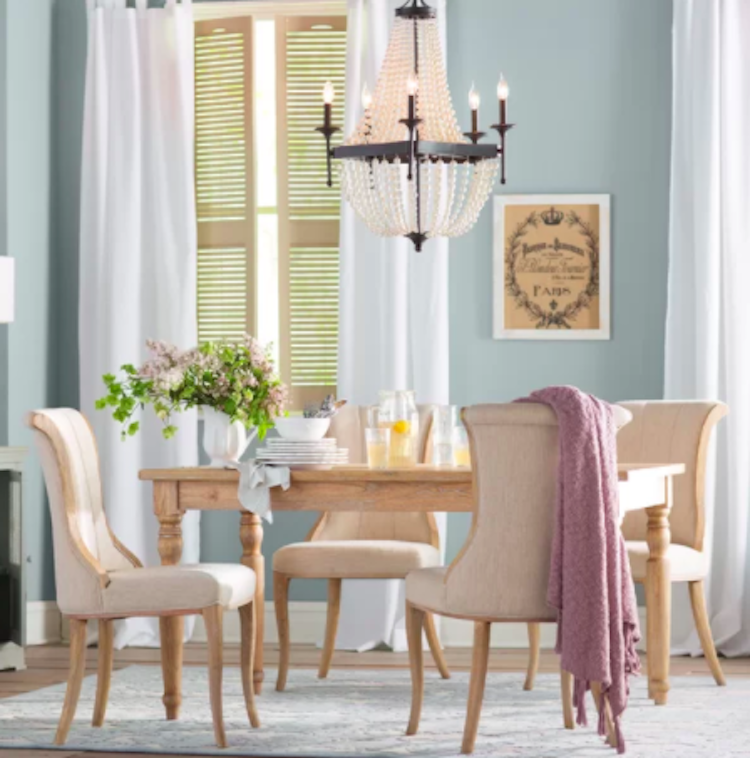 I love this one for its shape and color – also that it goes with SO many different decor styles! It’s currently on sale too!